Welcome, dear friends of the Earth! 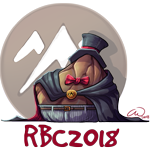 Come here, come all, to the one and only Rockbreaker's Ceremony 2018 Cavern Costume Contest! Bit of a mouthful, but don't let that bother you - Here, we let the outfits do the talking! Are your lair members the most well-dressed in all of Sornieth, or do they simply love to toss some rags onto their faces and call it fashion? No matter! All are welcome to join us in honoring the Earthshaker and celebrating the loveliest and fanciest dragons in the land! All you have to do is present an outfit for our daily theme and - TADA! Just like that, you're set to win fame and fortune! Will you join and give the catwalk a chance? Read on and don't be shy! Want to get pinged for new themes? On an expedition such as this one, you can't always bring every single trinket you'd like. Some dragons pride themselves in making a lot out of very little. Today, bring us a dragon and outfit that contains no more than five apparel items! Get the most out of a few items! This event runs from the 19th November until including 1st December, the end of Rockbreaker's Ceremony 2018. The outfit theme changes daily, and entry closes at rollover, with the new theme being posted shortly after. Every day you participate, you are entered into a small daily raffle as well as the big raffle that will be drawn after the event ends! The daily raffle will be drawn once both judges have voted on all entries from that day. Plus, who knows, maybe there will be more special prizes for extra interesting entries ... ? You can enter once per day, with one dragon and outfit. Members of all flights can enter! The Dressing Room is absolutely allowed! Any piece of apparel you can use there is permitted for use in the contest. 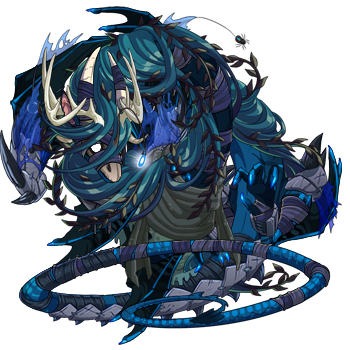 However, the dragon wearing the outfit must be in your lair at the time of the contest! Please provide a link to the dragon when you post the outfit. You can enter the same dragon more than once. However, creativity can get extra points, so when you feel it fits, try a different dragon you own and give them their time to shine! Skins/accents are only permitted on days that explicitly state as much! 1. Theme - How well was the theme used? Was it interesting and fitting? 2. Colors - Does the outfit have a pleasing color palette? Do the colors fit well together? Do they work with the dragon? 3. Originality - How creative is the entry? Any clever layering? Any interesting mix of items? 4. Cohesion - Do the apparel items go well together? Is the outfit not too cluttered or busy? Is a clear idea visible? When you post an entry, please use our posting template in the Today's Theme section! A brilliant geode, dug from one of the deepest quarries in Dragonhome. This can be traded at the Festive Favors shop during the Rockbreaker's Ceremony. More Prizes Coming - Check Back Soon! A durable leather tome filled with ancient knowledge of the Earth Flight. It is said that dragons with spiral horns have an affinity for balancing on the sides of sheer mountain cliffs. Contains the Black, Red, Brown, Gold, and Grey Wolf Capes. 5 items. Contains the Deadpan Jester's Cap, Collar, Cape, Gloves, Stockings, Tail Bell, and Wing Cover. 7 items. Contains the Clever Jester's Cap, Collar, Cape, Gloves, Stockings, Tail Bell, and Wing Cover. 7 items. A huge thanks to everyone who helped out with putting this contest together! You seriously ROCK! Check out the rest of Rockbreaker's Ceremony!